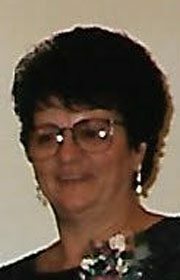 Sandra Vinson, 75, of Fort Dodge, died November 18, 2017, at the Fort Dodge Villa Care Center. Funeral services will be held 1:00 p.m. Saturday, November 25, 2017, at the Gunderson Funeral Chapel and interment will be held in North Lawn Cemetery. Visitation will be held from 4:00 – 7:00 p.m., Friday, at Gunderson Funeral Home & Cremation Services. Sandra Kay Frank was born on March 22, 1942, in Fort Dodge. She attended Fort Dodge School and will be remembered as a hard worker. She was a member of Grace Lutheran Church. She enjoyed crafting, cross stitch and quilting but most of all she loved being with her family. Family was everything to her. Survivors include her husband Richard “Vince” Vinson; her daughters, Terri White and Kellie (Brian) Cervene, all of Fort Dodge; her step-children Doug (Angie) Vinson, Kathy Weber and Kristy Vinson; 16 grandchildren and 11 great grandchildren; her sisters GeorgeAnn (Terry) Froyd of Phoenix, AZ, Sherryl (Floyd) Hansen of Fort Dodge and her sisters-in-law Bonnie Frank and Doris Andreoli. She was preceded in death by her parents George and Viola “Bonnie” Frank, her in-laws Art Vinson and Leone Johnson, her son Allan Conrad, her brothers Johnny Frank and Donald Frank, her son-in-law Michael White and brother-in-law Dennis Vinson.